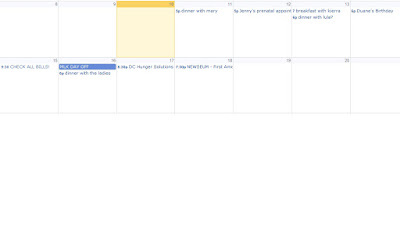 i just double checked my calendar and a sense of dread hit my stomach -- not a single night free for myself? really?? and then i took a closer look. "dinner with mary." oh fun! and, "jenny's prenatal appt." i seriously can't wait for that. "breakfast with kierra." be still my heart, can we please do that right now? and on and on. 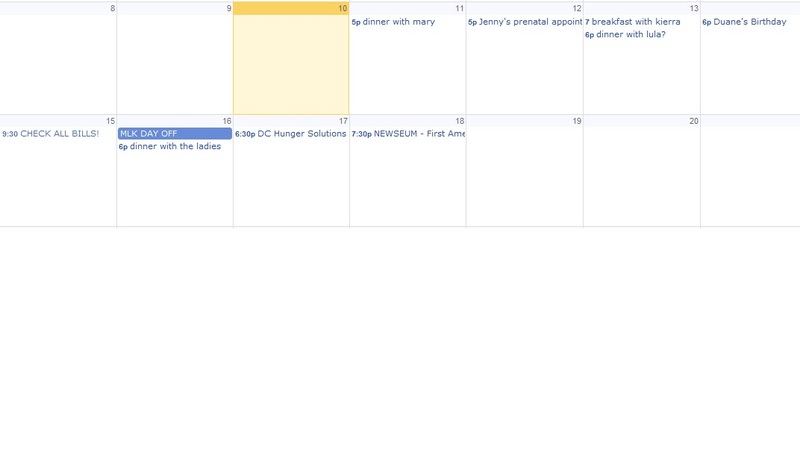 and that's when i realized, "full calendar, full life." and now i'm excited for the next 8 days!